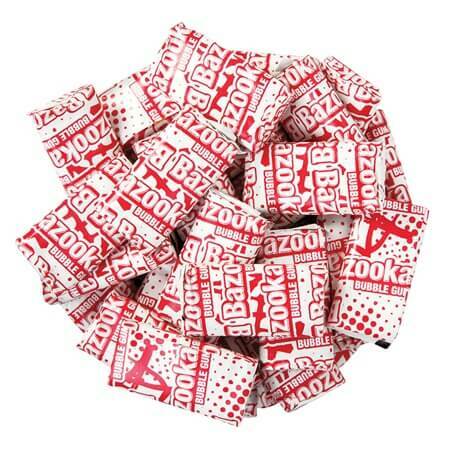 Bazooka Original Flavor Gum Bulk gives you the nostalgic flavored gum people can blow great big bubbles. 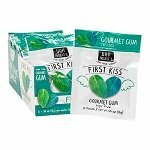 Each individually wrapped piece of gum comes in with a mini trivia game packaging to play while you savor the original flavor of this classic gum. 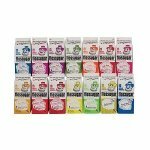 You will receive approximately 75 pieces per pound which makes this sweet bundle barely under 2000 pieces. 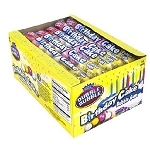 With this wholesale candy being prepackaged, you can easily add to your clear bulk candy dispensers. Customers will flock towards the old fashioned retro candy. 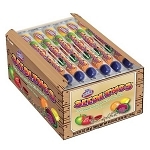 Order your bazooka bubble gum today and save yourself time and money!